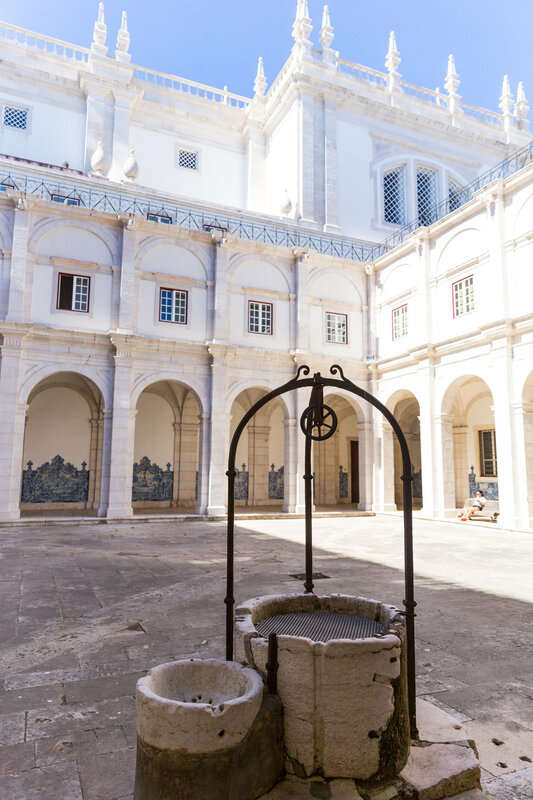 It's a little known fact that Lisbon, founded over 2,700 years ago, is one of the oldest cities in the world. 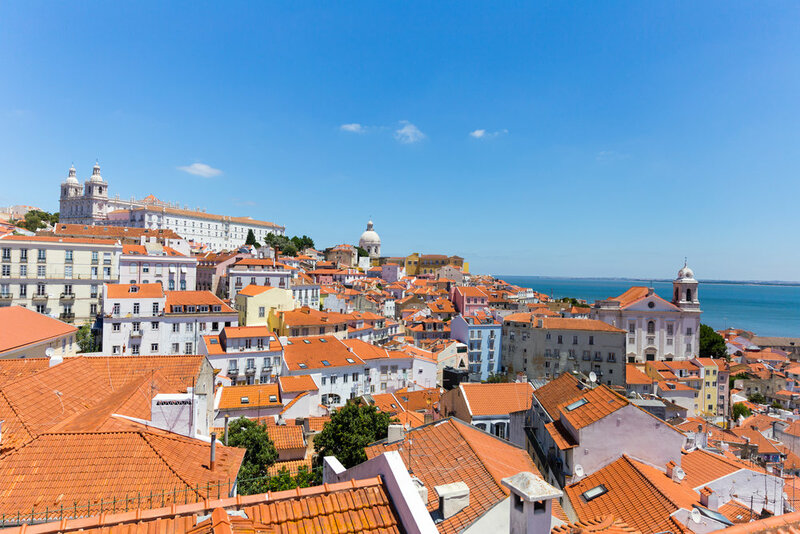 It is also the westernmost city in continental Europe--a perfect and unsurprising starting point for exploration beyond Europe to the West. 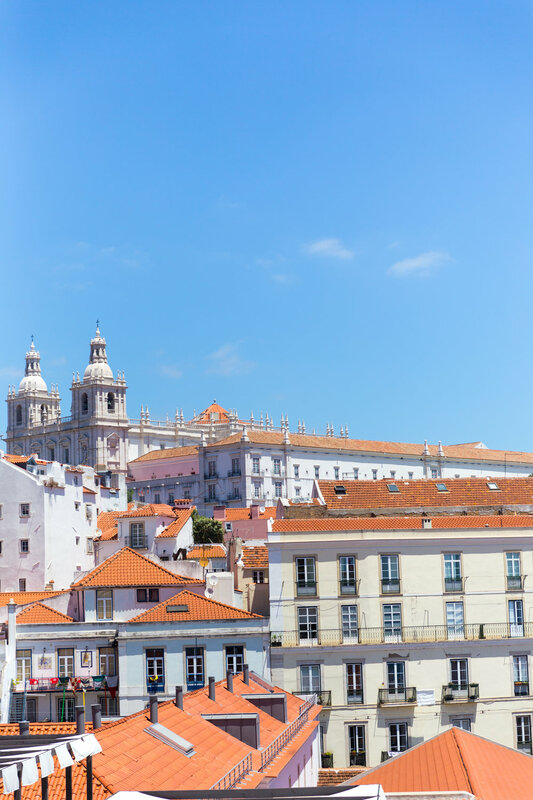 The Portuguese are in fact famed for their voyaging spirit and their skills during the Age of Discovery in the 15th and 16th centuries allowed them to build a vast empire spanning across the globe. 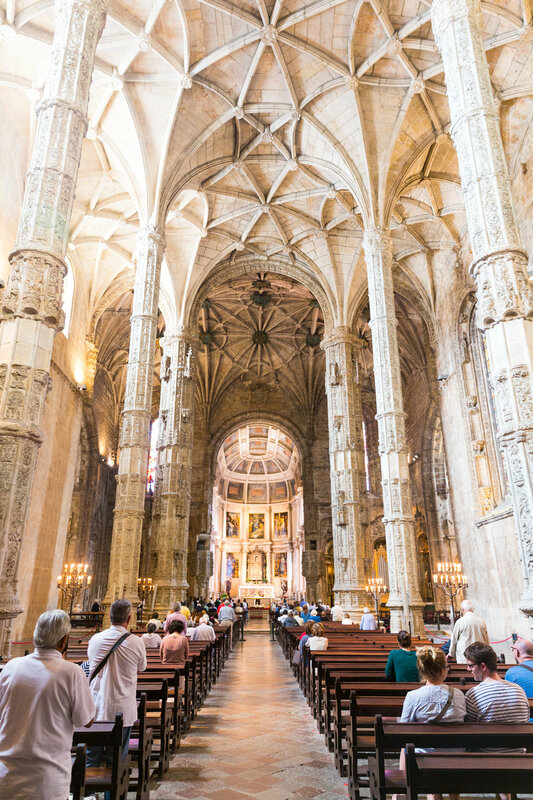 Thus Lisbon became a major starting point for these Portuguese expeditions and the city was a hub of commerce between East and West for centuries. 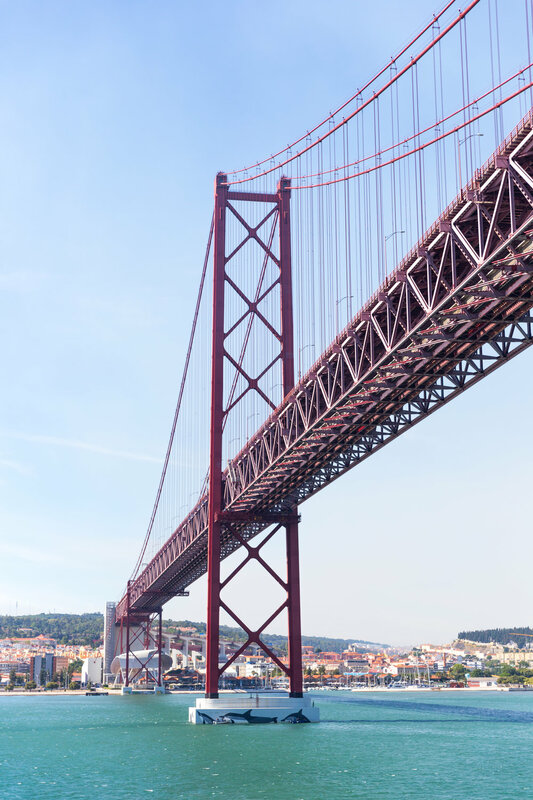 Fast forward a few centuries and several wars later until World War II, when Lisbon was one of the very few neutral European Atlantic ports. It became known as a city of spies and also a haven for refugees fleeing the Nazis to the U.S. 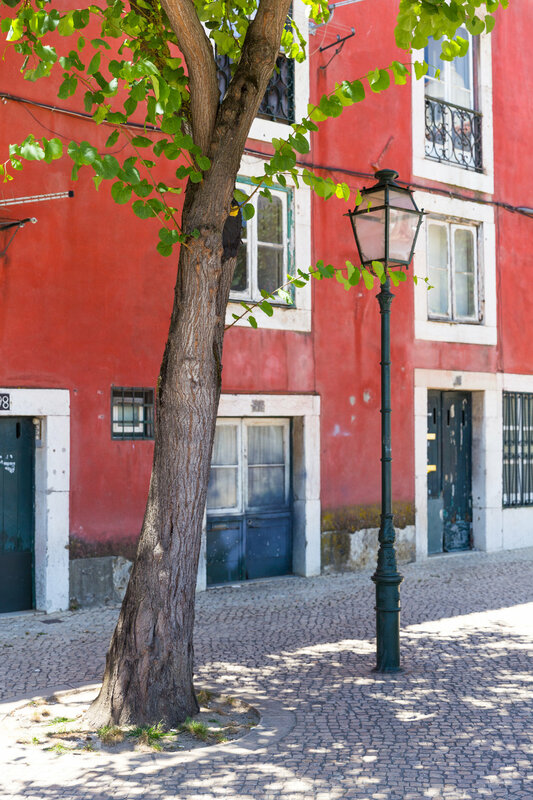 In the 20th century alone, Lisbon has been the site of three revolutions, the first to overthrow the monarchy and install what quickly became a corrupt republic, the second to overthrow that republic and install a second right-wing republic, and the third in 1974 to install the Third Republic which currently governs Portugal. Since the 90's many projects have helped to revitalize the cities historic areas and the city is now a beautiful international center that brings together varied cultures and a long and rich history. The first thing we noticed about Lisbon was just how hilly it is. It's like a European version of San Francisco with exceedingly narrow streets veering up at down at seemingly impossible angles. We drove in our rental car and it was a harrowing experience to say the least. At one point it took us a four point turn to make a left between the narrow walls, but we did make it to the hotel at last. We stayed a little out of the center of town, near all of the embassies, but it was a quick taxi drive anywhere we wanted to go. 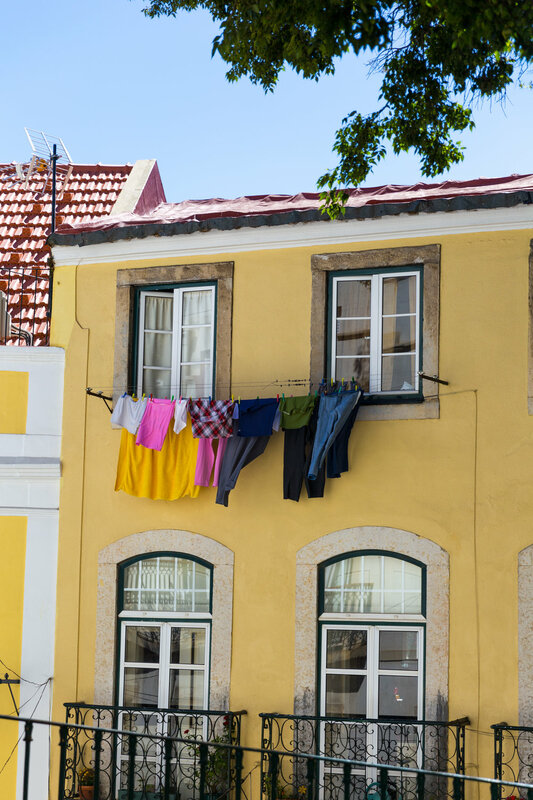 The first evening we headed to dinner in Bairro Alto, a central area of Lisbon. We were not impressed with the meal at all though the area was cute and we explored a little bit before dinner and found some fun little local boutiques. The next day was our only full day in Lisbon. We ate breakfast at the hotel then headed out on a tuk tuk tour around the main sites of the city. 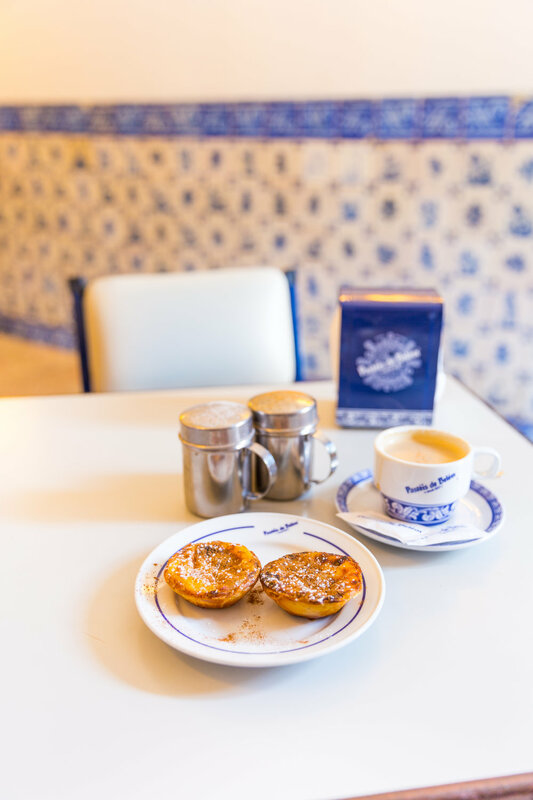 Our guide picked us up right at the hotel and brought us around to see the area of Belém first, with an initial stop at the infamous Pastéis de Belém bakery known for its custard tarts. 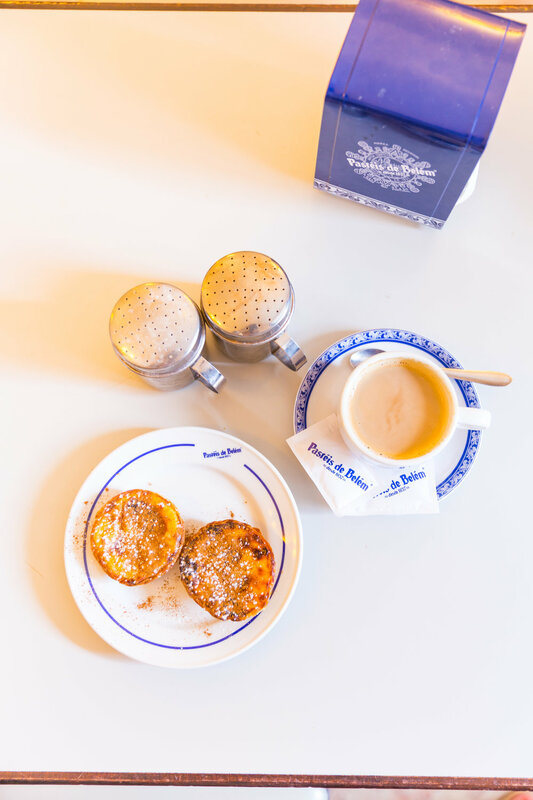 The recipe was created by monks in the nearby Jeronimos Monastery and has been kept secret for hundreds of years since save for a few select bakers. Word to the wise--do not wait in the long line outside of this popular place, go inside and get a table, it's much faster. And be sure to see the whole place because it is massive with huge dining halls and patios and the like. 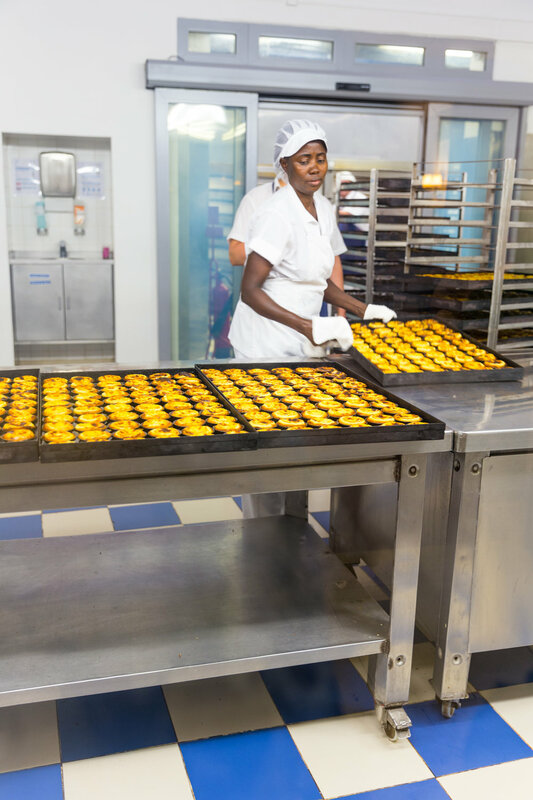 They produce more than 23,000 pastéis de nata every day! 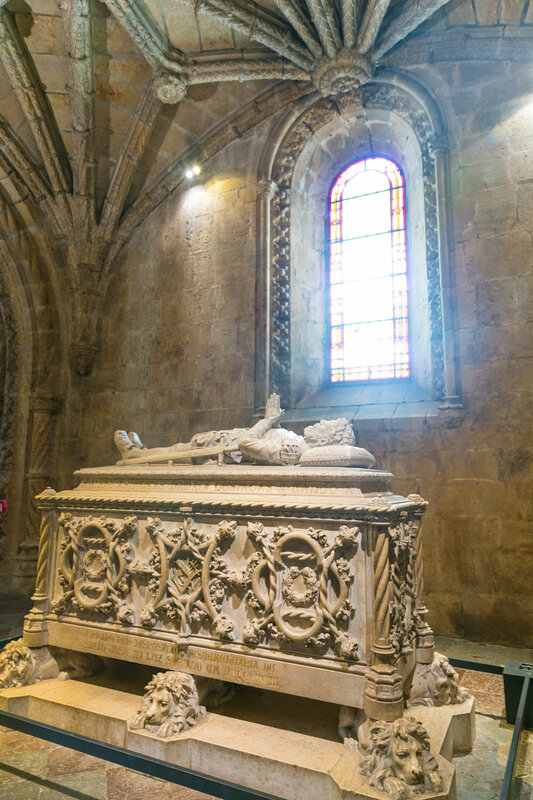 After we'd had our fill of sweets, we stopped to see the chapel at the Jeronimos Monastery (the line was too long to see the whole site) then headed to the nearby Belém Tower. The tower actually used to be set in the middle of the water and guard the entrance to Lisbon as ships came in and out of the harbor, but the land has been reclaimed all the way up to the tower so visitors can walk right up. We took some photos and then made our way to another more modern monument along the river, the monument dedicated to Portuguese exploration, the Padrão dos Descobrimentos, which is located where ships in the 15th and 16th centuries would have passed to trade with India and the Orient during the Age of Discovery. 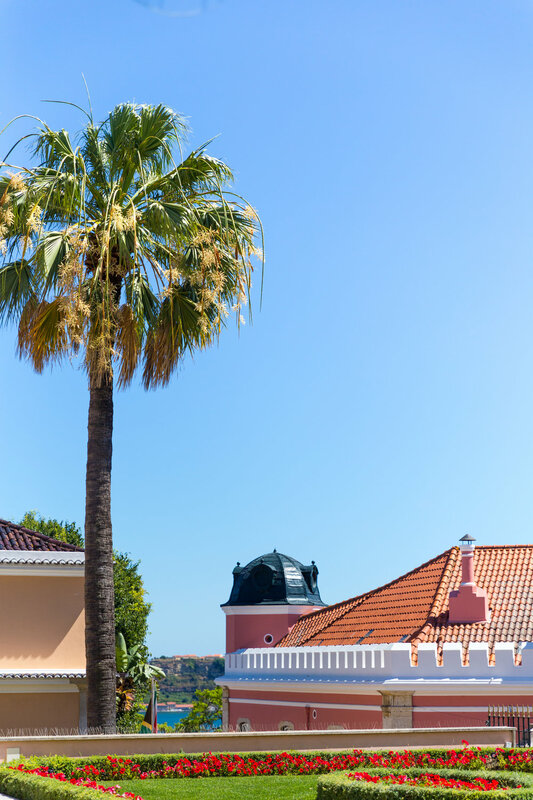 We then left Belém and headed towards the neighborhood Alfama on the other side of the city, where we stopped at several gorgeous lookout points, called miradouros, and walked around the neighborhood a little. We even stopped to try the Ginja, a cherry flavored liquor that is drunk out of a little chocolate cup so once you drink the shot you eat the cup to wash it down--not too bad! Alfama was certainly more local although had some pretty colorful architecture worth wandering through if you're interested and have time. 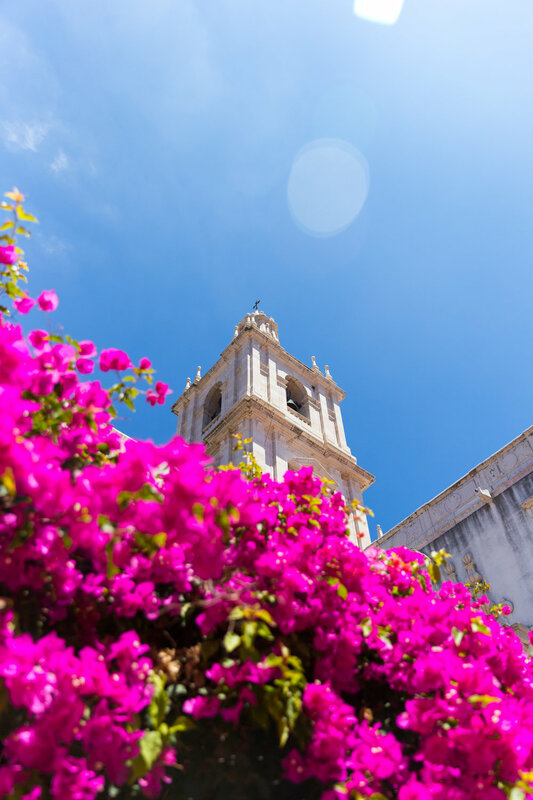 On our way to Alfama, we had passed by the Praça do Comércio and the Time Out Market, so we had our tuk tuk guide drop us off at the market for lunch. It is a large food hall with dozens of options and all manner of cuisine, a great place if you're not sure what you're hungry for or with someone who wants something entirely different. After the market, we actually headed back to the hotel for a little while so we could change clothes and take a break. Then, because I'd become weirdly obsessed with azulejos at that point (still am), I asked the concierge where we might find the best tile walls and one of his suggestions was a beautiful monastery we'd passed on the tuk tuk tour. 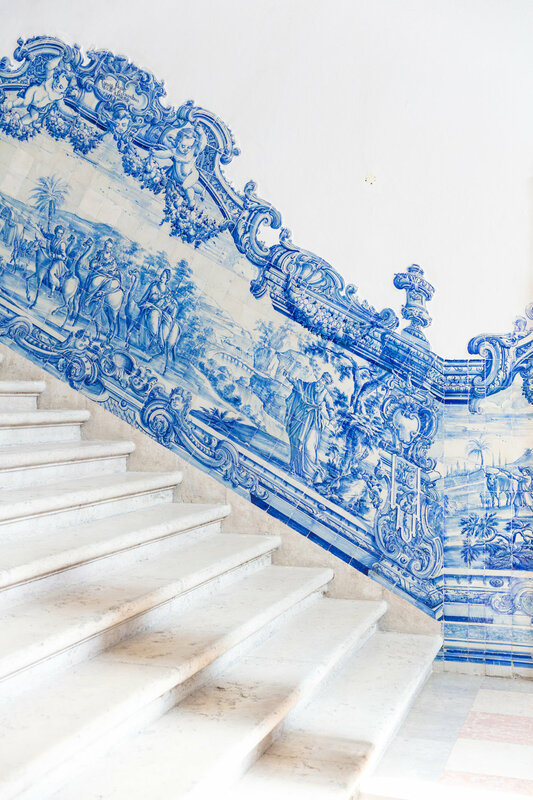 A quick check on Instagram before I was sold and we ordered a taxi to the Mosteiro de São Vicente de Fora, which maintains one of the largest collections of azulejos in the world. The monstery is gorgeous, stark white with the blue and white tiles depicting various scenes from the bible and folk tales in every alcove. As we were walking through, I saw a sign to the belltower and figured why not see what the view was like. My mom, exhausted, almost stayed downstairs but we were both glad we climbed the stairs. Not only can you reach the belltower, you can access the whole roof of the main building. The monastery is situated on a hill and at this elevation gives some of the most stunning views of the surrounding area you can imagine. The timing was truly perfect as well because the sky was perfectly blue and clear and the sun was right behind the tower, allowing me to capture some beautiful sun flares. My love of blue tiles had allowed us to find an incredible view as an added bonus (I found out later that most people go to the monastery for the view with little interest in the tiles, but oh well, I dare to be different). 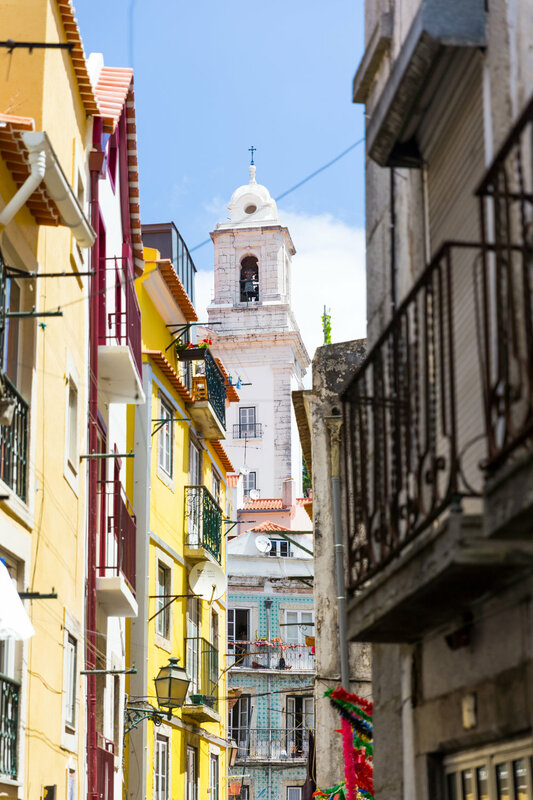 We walked down through Alfama from the monastery and made our way back to the Praça do Comércio and the surrounding shopping area, which is grossly touristy (too Times Square-esque for my liking). Finally we walked up a steep hill as the sun was setting to dinner. Word to the wise for walking around Lisbon, wear comfortable shoes with very good traction--so many of the streets and sidewalks are both steep and very slippery. Dinner was at 100 Maneiras, which I only mention in order to warn you to never eat there in your life. It was hands down one of the worst, most nauseating, meals I have ever been subjected to and I was actually physically sick by the time we finally left. There are so many other places to eat in Lisbon, I'm sure, and this was not one of them. Our last morning in Lisbon before boarding the cruise ship, we made our way to Avenida da Liberdade which is a main high end shopping street. My mom bought herself a birthday present at Prada and we had a wonderful lunch at the trendy JNcQUOI before we had to head to the hotel, collect our bags, and go board the ship. I actually wish we'd had more time to explore that area though as it was much trendier, aka my speed, than some of the other places we'd seen in the city. 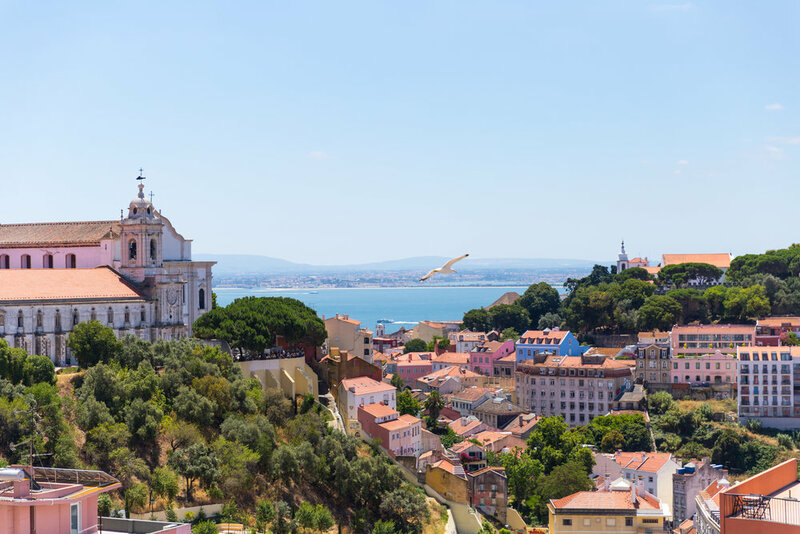 Lisbon was beautiful and though it took a little time to warm up to, I left feeling enthralled by its colorful streets and charming people.